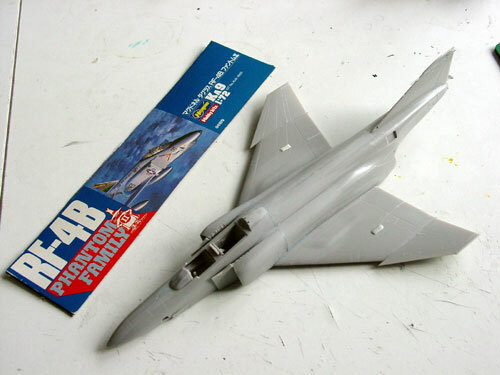 The Hasegawa 1/72 scale kit of the RF-4B was "limited edition kit" with only 1 set of decals for a RF-4B of the VMFP-3 MARINE Corps with decals provided in this kit #Ka-9. 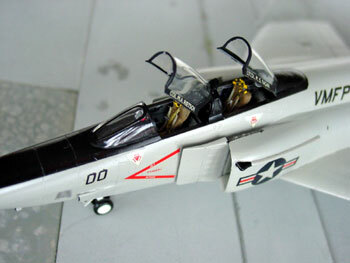 The RF-4B was a reconn version of the F-4 Phantom from McDonnell Douglas. 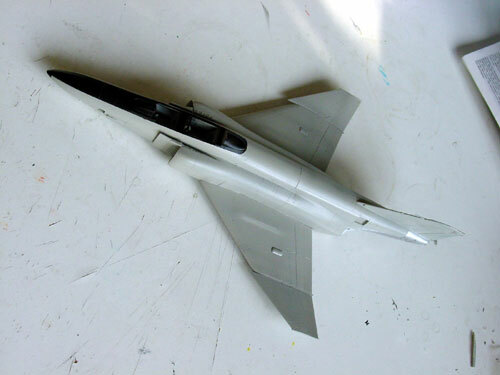 Like the USAF RF-4C, the RF-4B was unarmed and it had camera windows in the nose cone. 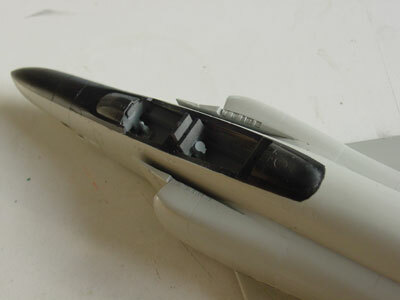 A smaller radar was fitted and it also had protection equipment like chaff/flare dispensers on each side of the aircraft at the rear fuselage. 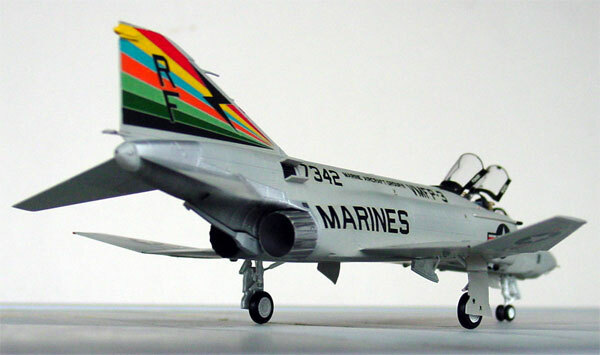 The first RF-4B flew on March 1965 and all went to the US Marine Corps to different units. 46 planes were manufactured. Planes were also used in Vietnam and several updates done during its service life. For example later on the J79-GE-8 engines were replaced by J79-GE-10 engines and new avionics fitted. The surviving RF-4B went to a new squadron, VMFP-3, based at MCAS El Toro in 1975. This version will be made out of the kit. The parts are fine with recessed panels and good parts although there are not many of them. The kit was assembled straight out of the box (SOTB). 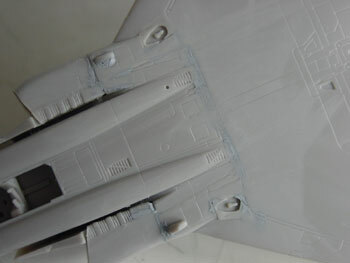 Only some putty was needed, notably around the camera's nose windows and the lower fuselage-wing joints. 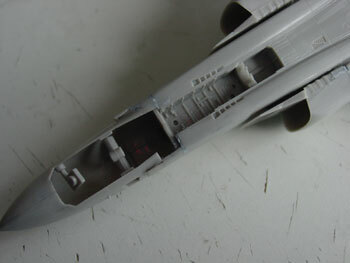 The cockpit was detailed with some sprue and rod, and decals. The sharp looking black nose striping and the tail colours are particular nice of the overall finish and supplied through decals. The colours are overall Fed.Std FS36440 gull grey. The decals gave no problems and went on very good after the kit got a gloss base coat of Johnson Future. The RF-4B is unarmed and has no provisions for Sparrows missiles.